Sheoganj is a town in Sirohi District of Rajasthan State in India located on the bank of Jawai River. It is 40 km. from Bali. Sheoganj is the tehsil headquarters of Sheoganj Tehsil by the same name. Sheoganj is famous for its cloth, jewelry and sweets market in nearby regions of the town. It is the fashion hub for the surrounding places. 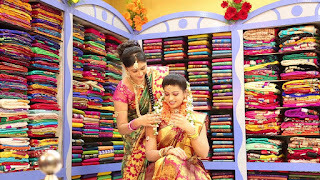 It is the shopping centre to buy clothes, jewellery and sweets on occasions of marriages. The best bridal dresses are found here. Nearby is the Erinpura Chhavani, which was the military base station of the British soldiers. The nearest railway station is Jawai Bandh. Jawai River separates Sumerpur and Sheoganj. Falna is within 1 hour, while Ranakpur is within 2 hour drive from here Even Bamnera which is just 12 km. from Sheoganj is also very close for visiting ancient temples. Monday, 15th August: Finally the Independence Day arrived, for which the school was practicing for so long. Principal, as the Chief Guest, hoisted the flag. After the National Anthem, the students did a PT display. The Academic Dean Mr. Byju Joseph spoke on freedom fighters and gave Vote of Thanks. Principal spoke encouraging students to understand the meaning of the freedom from mind sets and terrorism. Blessy Maria/XII/DH anchored the function. Cultural Program was organized. Students of Senior Section presented a dance. Students of Middle Section presented Patriotic Song. 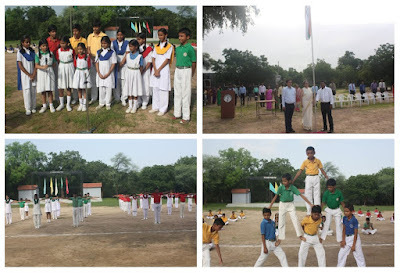 Students of Class V presented Gymnastic stunts. Once the whole function got over sweets were distributed among students. For the ID parade, a representative contingent was sent to Government Senior Secondary High School, Bali, to participate in the 15th August March Past Parade. They stood second position in the parade. A group of girls were sent to Government Senior Secondary High School, Bali, to participate in the 15th August Dance performance. They stood third position in the dance. We are trying to find land on moon where we can actually live whereas Pakistani is trying to find entrance in India and these are not scientists who are these Pakistani who are trying to enter in India. Who are these? Yes, they are terrorists. I am not comparing but I am trying to tell you what in over way we are over with this period in Independence , we celebrate Independence every year fine But for your generation independence is of the mind , dependence on drugs , dependence on alcohol, dependence on smoke, dependence on useless thing which do not progress you further I very well understand when I am speaking of independence because it doesn’t mean you have to be dependent on somebody and not to be so independent that you not listen your parents .It is important for us to depend on our parents because we are in school , but the school teaches us the independence of mind . Independent decision for you make subject you choose what society you choose but you need to take experience of your parents your parents have experience much more than you have I was explaining to the Class XII the other way when you have so much of energy in you don’t think that you parents are old and ancient and gone by please understand they have lived more lives so take their experience do bring advice think what you can do bring these two things together that is what dependence and interdependence bring in Independence let us not forget all so the sacrifices of all the soldiers, I come from those years in 1972 to 1971 there use to be blackouts in our colony any teacher lived that area teacher Ajay Sir … have.. He will understand what I am saying blackouts were the whole city Ajmer…… I belong to Ajmer so I remember being as a child whole Ajmer was in darkness and I remember my dad climbing the walls of the room and trying to fix black chart papers on the sky light because wherever the Pakistani saw a little light also they would shed bombs and I was made to do homework at 5 0’ clock because from 6 0’ clock onwards we were supposed to sit in darkness in our house not even a candle light we were so terrified at the same time in Jodhpur where my masi lives they had to go into trenches they have to live in trenches for weeks because their houses were not save and why I am speaking of trenches in Jodhpur. Jodhpur is closer to Pakistan and imagine these countries were are this is what the INDEPENDENCE brought upon. And I don’t want such independence were we fight with our neighbors we find entrance into another countries for unfair means independence is where everybody love fairly, happily for your children you must understand because you have not seen his difficult time that’s why I understand you don’t have any value you don’t own any value for your country but for one moment imagine if the country first goes away from your hands Britishers come again what will happen to you would you like that, so think and value what you have because this independence has been bought by blood of those soldiers and those leaders who had all died for us if you are enjoying a free country today it is because of millions sacrifice of people try and sit next to India gate someday if you are in Delhi read the names on the india gate there endless names even I have not been able to complete I did tried that there are endless names I kep wondering who must have died they must have died and where they must have been died and for whom “whom you and me ……” so let us all stand just now pay homage for one minute –two minutes to this people all right just stand up well maintain silence. India got freedom over British rule on 15 August 1947, from this day we are celebrating 15 August as our Independence Day. We got freedom with the help of our great freedom fighters that are Gandhiji, Subhash Chandra Bose, Bhagat Singh , etc. This day is celebrated in whole of India such as Schools, Offices, Colleges. On this day the National Flag is hoisted on all Government buildings, schools, colleges, etc. March Past, dancing, singing and some other kind of activities are organized on this day. The main thing is that the famous sweet Laddu is distributed. This is the best day for all Indians. At last I want to thank our great freedom fighters who fight for our freedom. Sister and brother’s relationship of sharing and caring. Brother is always there to protect their sister. Elder sister is always there to guide me. And you always come with me as a protection the world’s best sister. And I love you as you are. Where have the glorious days gone? When India was called the golden bird. For there are fighting everywhere. But people have forgotten their sacrifice. Tuesday, 16th August: A competition was organized for Junior Students on the occasion of Rakshabandhan. The day started with great anxiety and excitement to make the best Rakhi. 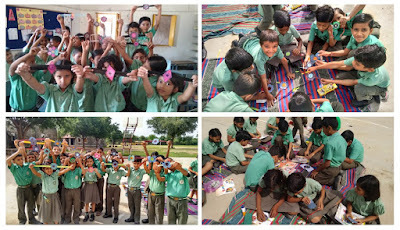 But students came up with unique ideas on its creativity. 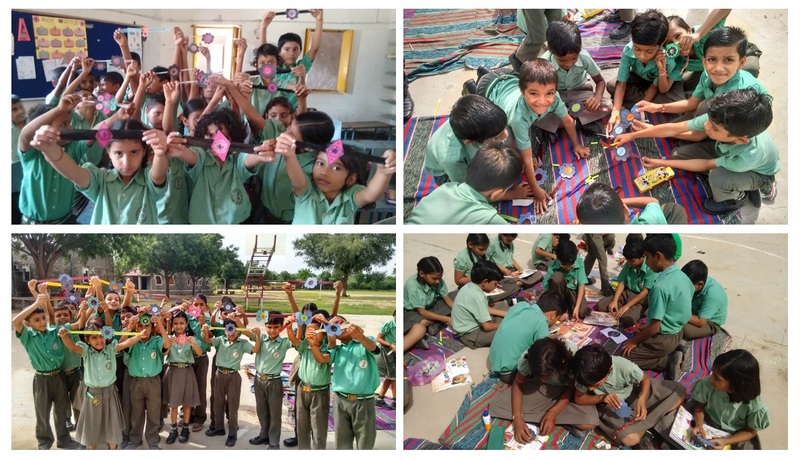 Few even used waste material to make their Rakhis! The whole week they were displayed on the corridor display boards. Wednesday, 17th August: On occasion of Sanskrit Diwas Mr. Krishan Gopal Dave gave an Assembly Talk and recited shlokas. Friday, 19th August: Mrs. Kavita Deora gave an Assembly Talk on World Senior Citizen Day. She made the students aware why this day is celebrated. She also told the students to respect elderly people. Saturday, 20th August: Mr. Krishna Gopal Dave gave a talk on the World Integration Day. He made us aware why this day is celebrated and told that it is celebrated in the memory of our 9th Prime Minister Rajiv Gandhi because he worked hard for our nation’s unity and integrity. Ms. Vimmy Rajpurohit and Mr.Rakesh Kumar gave an Assembly Talk on World Photography Day. Ms. Vimmy made us aware why this day is celebrated and told this day is celebrated and told this day was declared by the Government of France on 19th August 1839. Mr.Rakesh Kumar presented a demo that how camera obscura worked and what is daguerreotype process of photography.